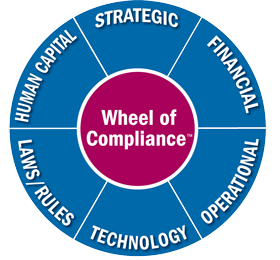 Meet our results-driven compliance and risk management consultants! Our goal is to serve you and your practice in the most beneficial way possible. Leverage our expertise to avoid legal complaints, close regulatory gaps, and most importantly, recapture valuable patient care time and peace of mind. Contact us at 904-573-2232 or send us an e-mail. As president and founder of The Linda Harvey Group, Linda M. Harvey, RDH, MS, LHRM, DFASHRM leverages her unique credentials and expertise to help you and your staff significantly reduce risk and legal liability in your practice. Linda’s services complement practice management consultants whose clients need a specialist in risk management. Along with that, she teaches dentists and physicians how to protect their million-dollar practices through effective risk management and patient safety. Linda’s practical guidance effectively integrates regulatory statutes into your practice to close deficiency gaps in your policies, procedures, and workflow. Read more about Linda’s unparalleled credentials and experience here. As a Certified Registered Dental Hygienist, Trish has more than 25 years experience in patient care. For approximately 15 years, she served as the OSHA and Infection Control Coordinator in a large group dental practice. She continued to fill those positions while she obtained her Bachelor’s Degree in Dental Hygiene from St. Petersburg College and completed Master’s level coursework in Health Professions Education at Florida Gulf Coast University. 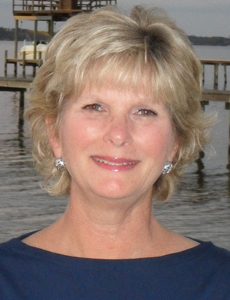 Trish was an adjunct faculty member at Florida State College at Jacksonville’s Dental Hygiene Program for 10 years where she taught clinically and didactically in her areas of expertise: Infection Control education and Compliance. Trish has earned the designations Certified Dental Specialist OSHA and Certified Dental Specialist HIPAA through the Institute for Dental Compliance and Risk Management. Clients love Trish’s attention to detail and passion for infection control! Kelli has more than 25 years’ experience in the dental field. She graduated Santa Fe State College Dental Assisting Program in Gainesville, Florida, prior to entering their Dental Hygiene program, and later went on to obtain her Bachelor’s Degree in Business Management and Supervision from Daytona State College, Daytona Beach, Florida. She is a demonstrated achiever with exceptional knowledge of business management and practices, compliance and staffing. Kelli’s real-world experience both as an Office Manager and Compliance Officer enables her to identify with the needs and challenges of today’s dental practice. In addition, Kelli owned and operated a dental staffing agency and understands the importance of having the right people on your team. Clients appreciate her ability to help them achieve understanding and direction with their compliance needs. Babs healthcare career spans 37 years. She is a Florida licensed Radiologic Technologist and Certified Magnetic Resonance Imaging Technologists as recognized by the American Registry of Radiologic Technology (ARRT). 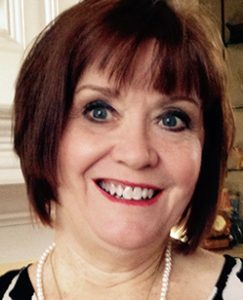 Babs spent many years as a clinical instructor to radiologic technology students. During that time, she supervised first year and second year students teaching procedure and protocol, as well as proper documentation. Babs radiology experience includes hospital, group physician practice, multi-site imaging center, and college settings. Her leadership skills include serving as a Chief Radiologic Technologist in a 200-bed hospital and a weekend supervisor for a 350-bed hospital. Leilani’s experience in healthcare risk management over more than 30 years has afforded her experience in various delivery settings including the large teaching hospital, in a university medical school setting, and in a variety of other health care provider settings, including the large multi-specialty medical clinic, the for-profit community hospital and the not-for-profit integrated healthcare multi-facility system and a large HMO. Leilani is active in state and local health care risk management organizations and has been a member of the American Society for Healthcare Risk Management (ASHRM), since its beginning, serving on committees, the board of directors and as President in 1997-98. In addition to earning the Associate in Risk Management (ARM) and MBA degree, she holds the Distinguished Fellow designation from ASHRM and is a Florida Licensed Healthcare Risk Manager (LHRM). She is published in the fields of infection control and risk management and has been a speaker in the field of risk management on the local, state, national and international levels.